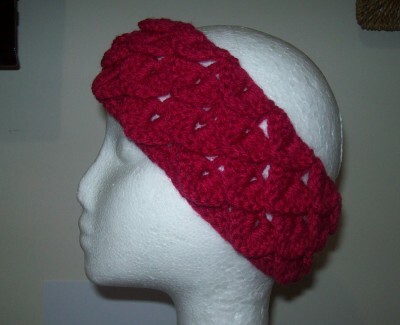 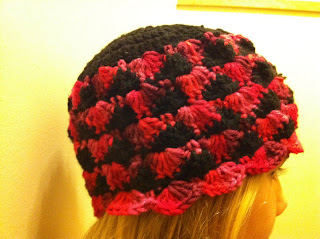 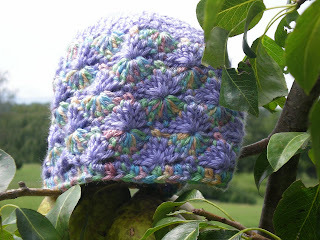 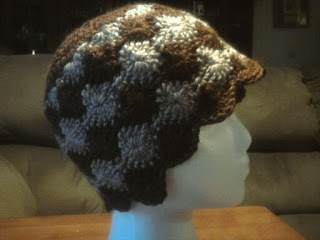 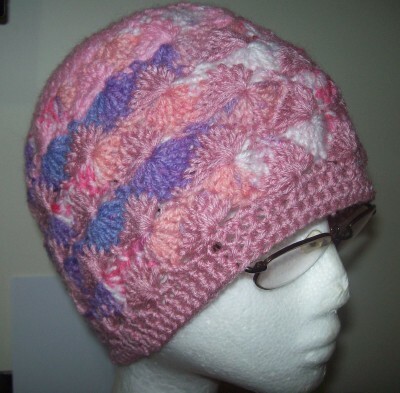 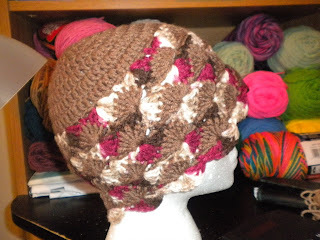 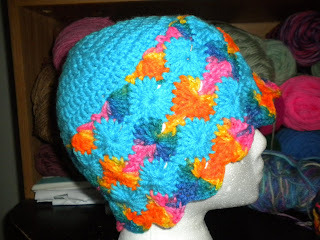 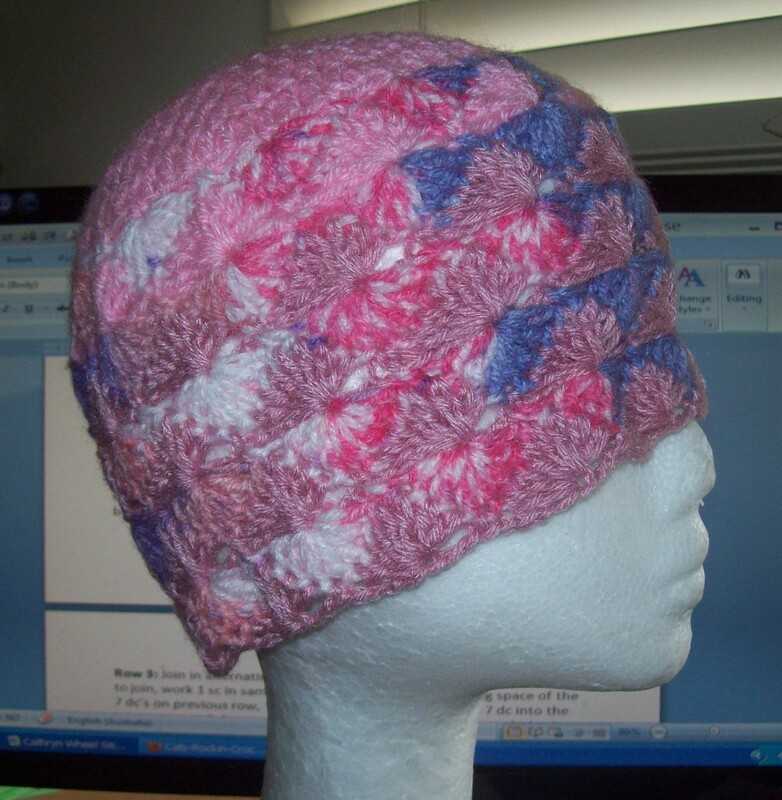 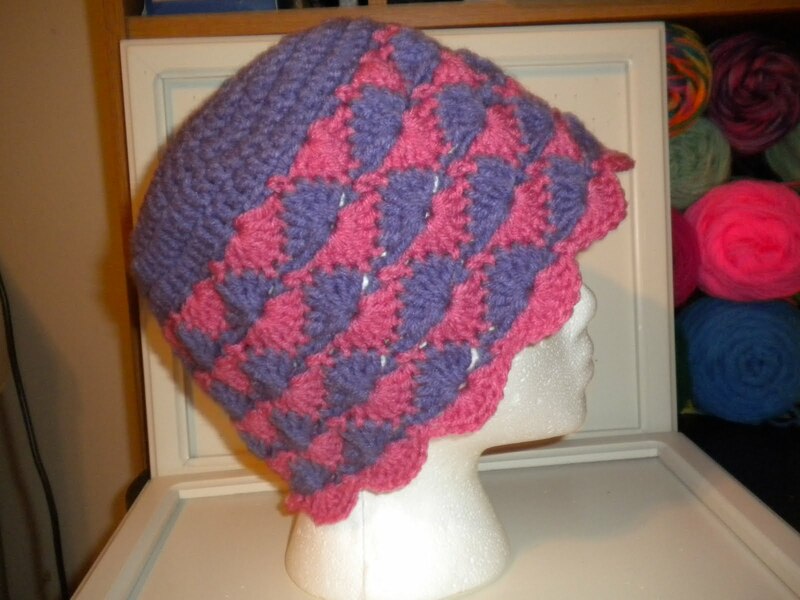 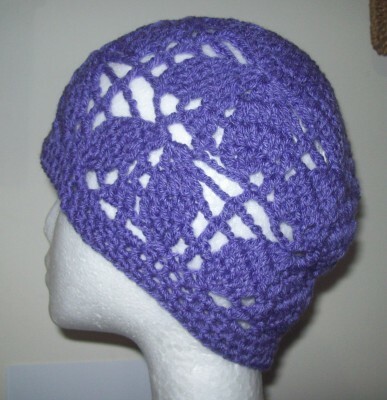 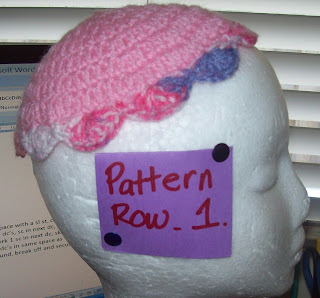 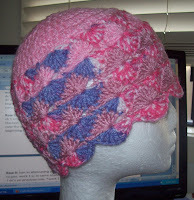 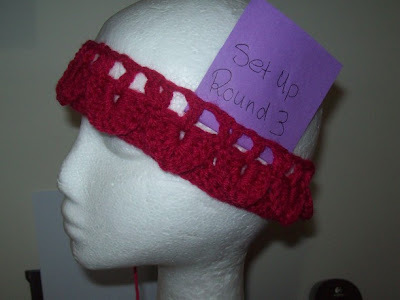 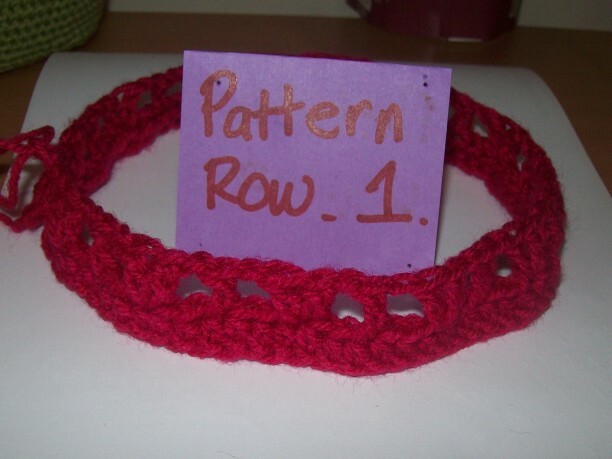 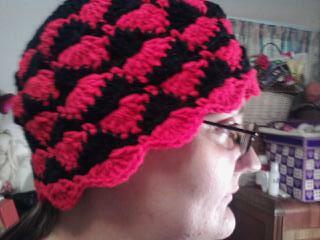 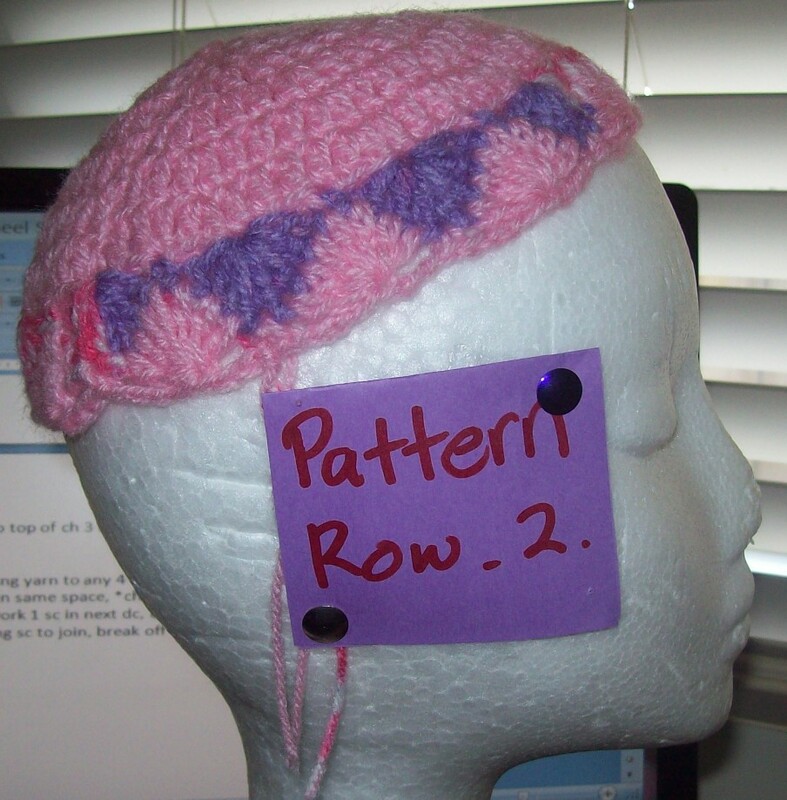 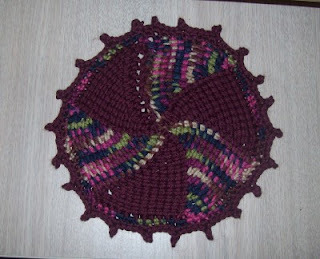 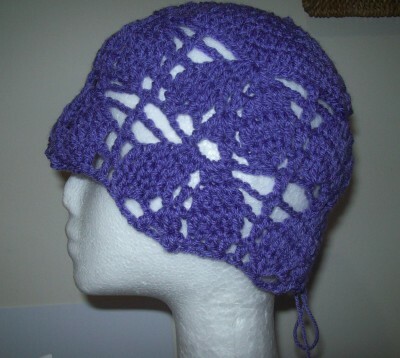 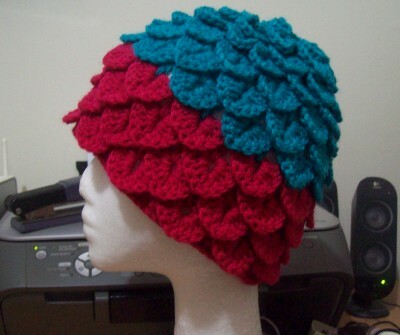 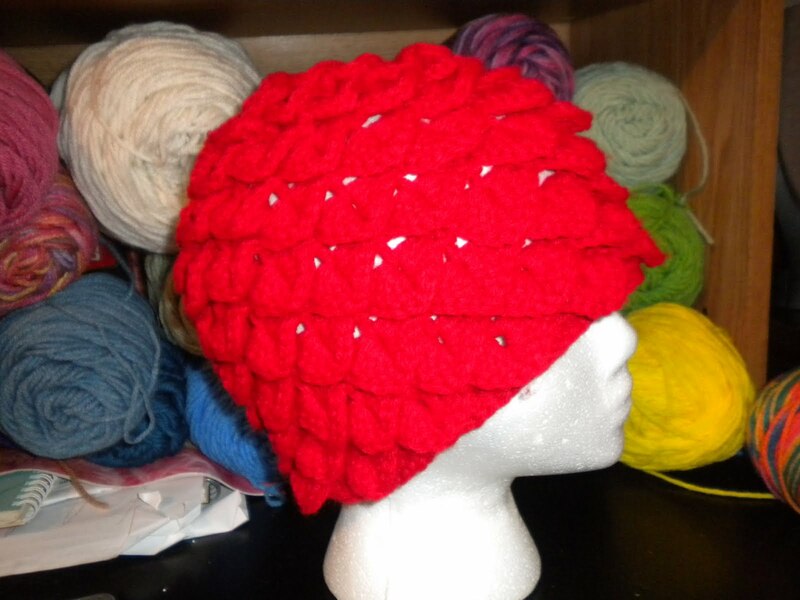 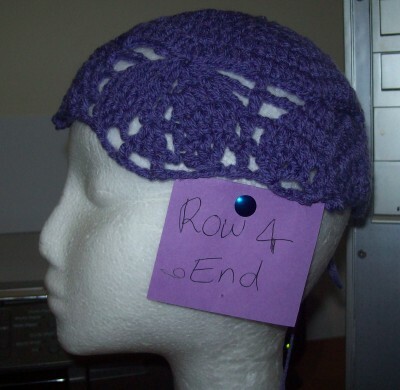 Very suttle leaves in groups of 4 are spread over the hat in 2 pattern row repeats. 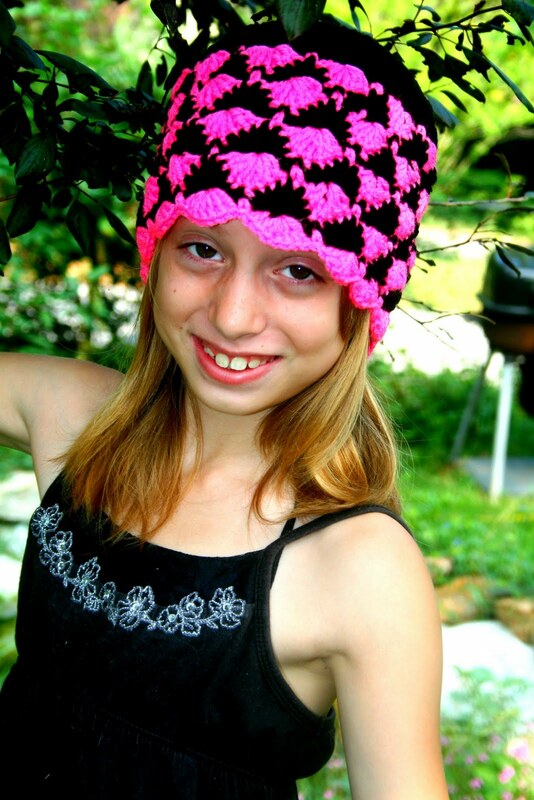 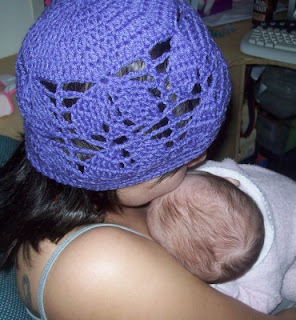 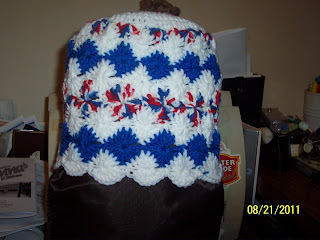 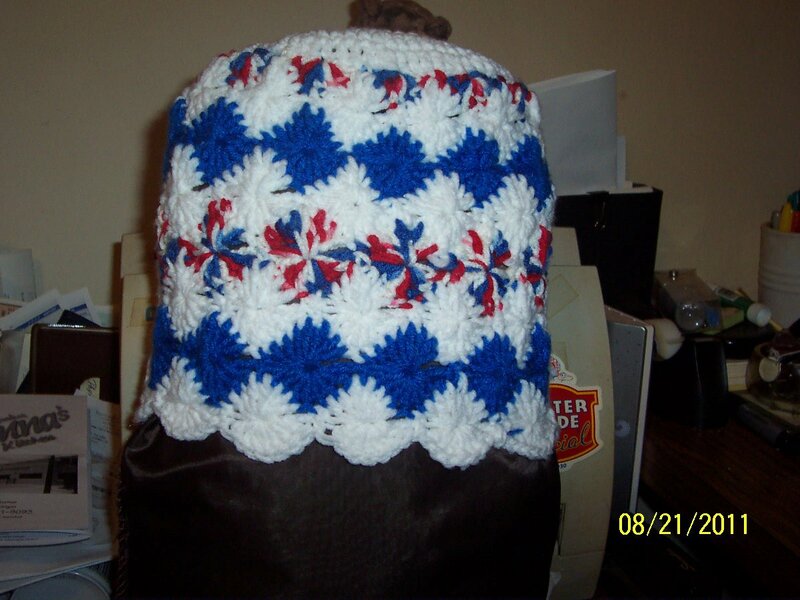 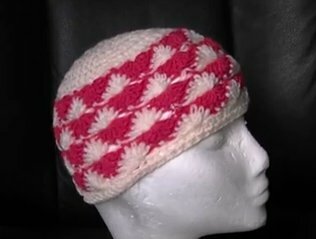 Special notes: You will need the 72 dc, basic dc crown pattern to begin making your hat, which is in written form and a video tutorial, located at this link. Playing with the Tunisian stitch again, I just love it's versatility, here I am making a head rest cover for my new lounge suite, almost 1 down and a few to go, to see this stitch in action got to this link. 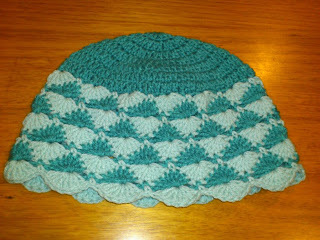 More on the Tunisian short row dish cloth, I made one to the recommended beginning ch length and the other was an even shorter one as I had less yarn to use. 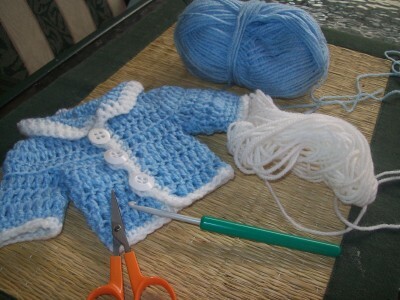 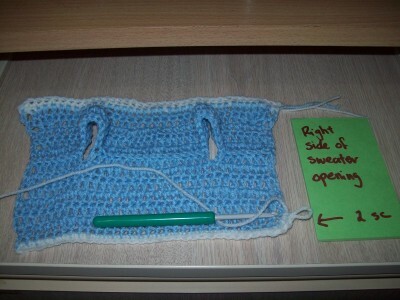 To see this stitch in action got to this link. 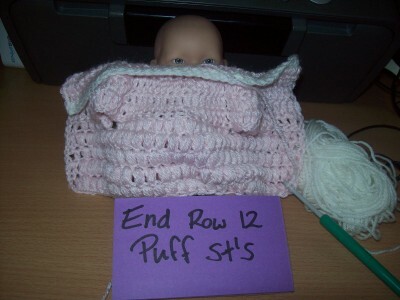 The puff st makes the little sweater just a bit fancy. 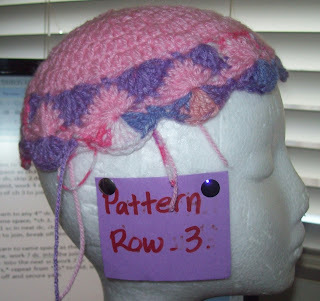 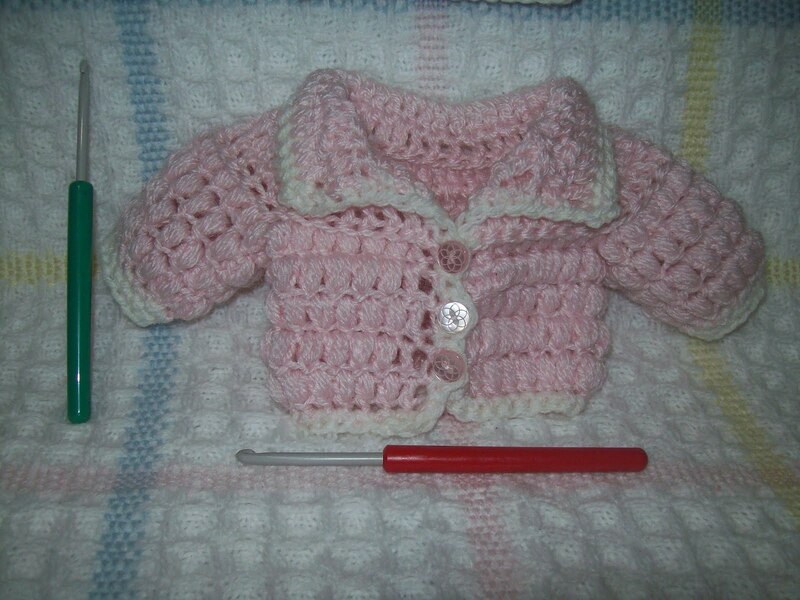 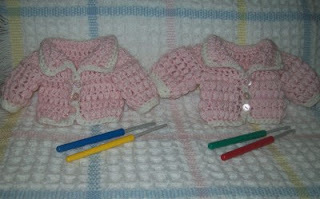 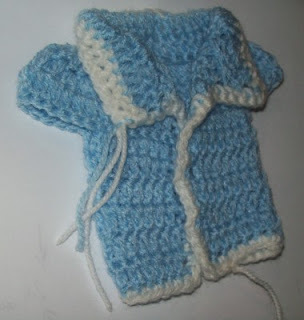 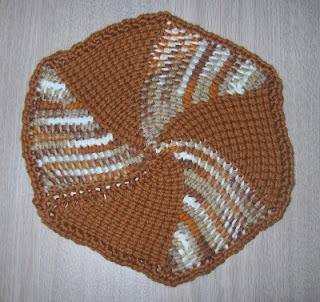 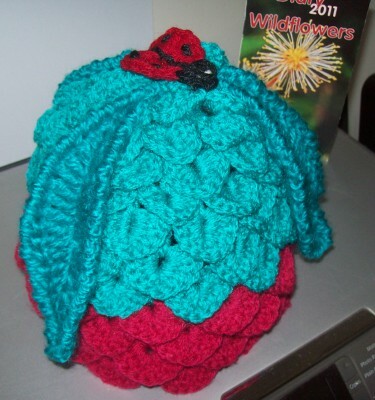 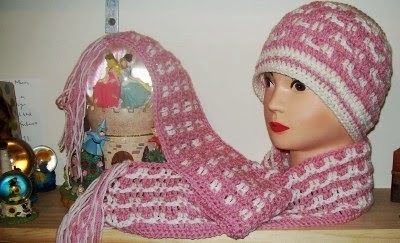 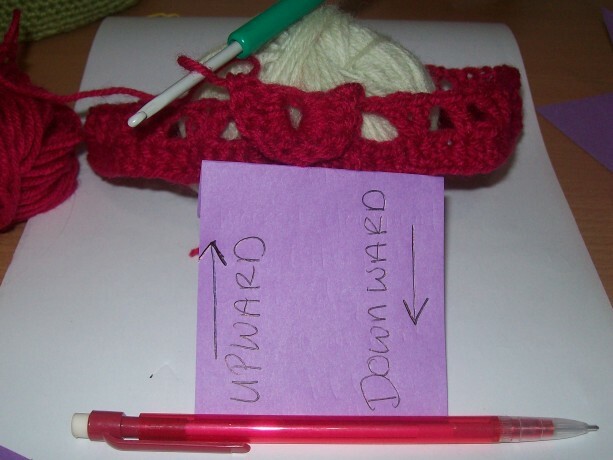 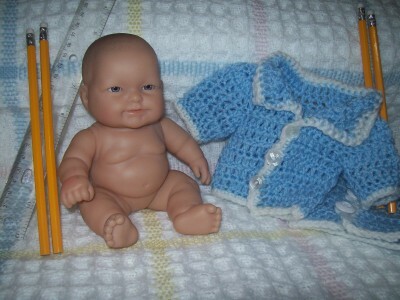 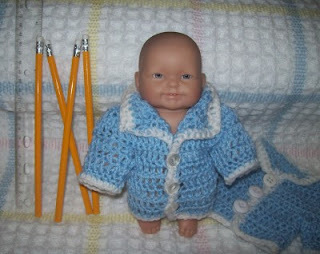 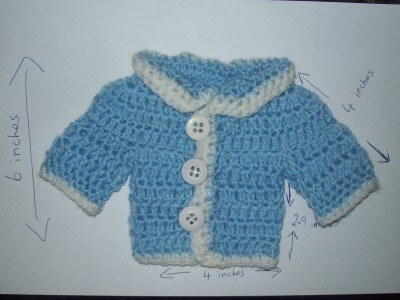 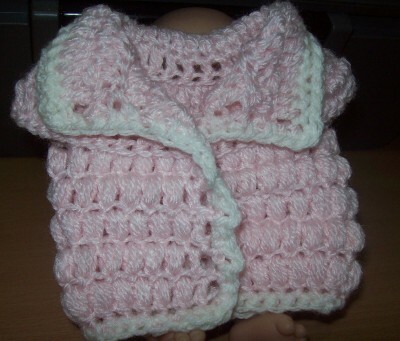 If you are running short of your main yarn, the puff stitch can be also made over 2 dc in stead of the 3 dc puff st included in the pattern instructions. 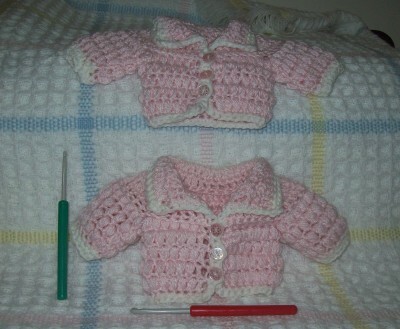 You can barely tell the difference but there is a weight difference of 8 grams using the 2 dc puff stitch. Special Instructions: #1 Sweater begins at collar.#2 Arms, back and front top yolk are worked onto collar #3 sides and back are worked in one piece as armhole st’s are skipped. 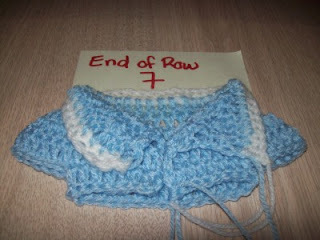 #4 Bottom, side and collar edgings are worked in next. 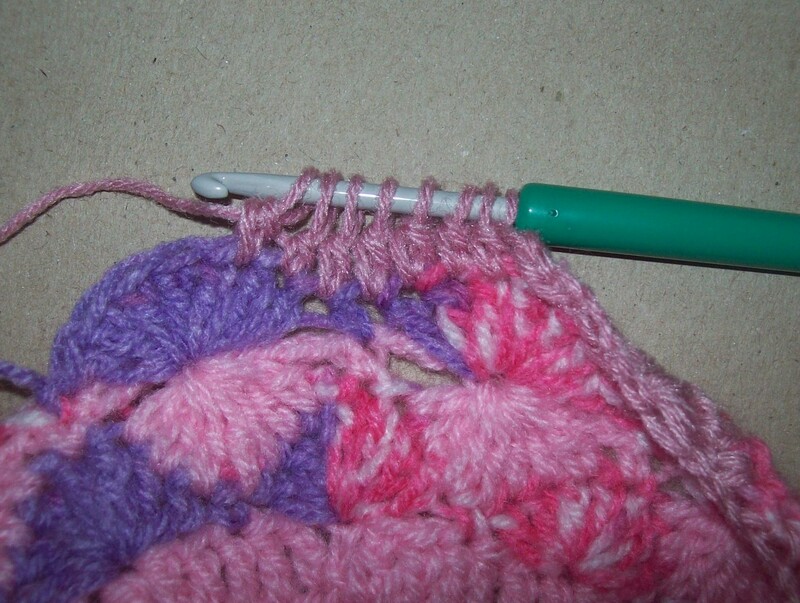 #5 Arms are joined in by picking up st’s from skipped st’s under yolk. 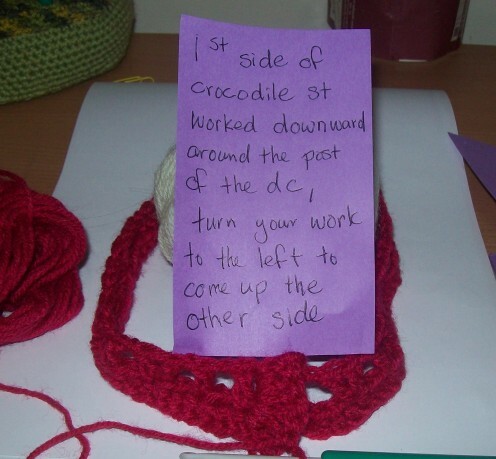 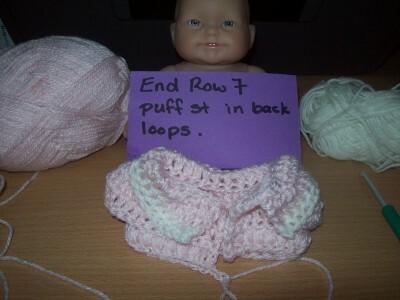 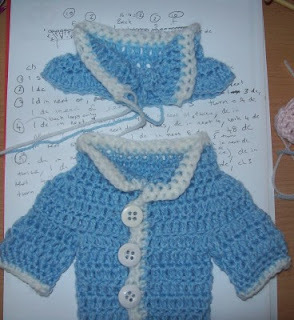 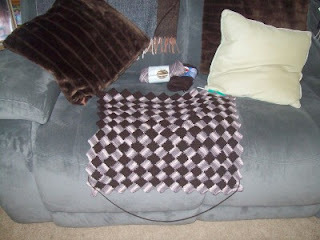 Row 6: ch 1, work 1 sc in each sc around, sl st to first sc to join round, finish off yarn. 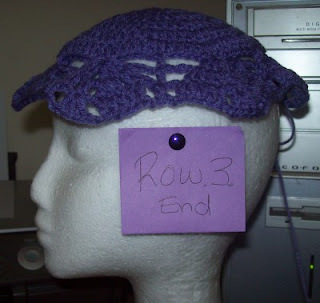 Special Instructions Before Beginning The Edge Trim: This is just a guide, go to row 13 to begin the edge trim (after the next picture).